Dr. Troy Ahlstrom, MD, SFHM is a principal and practicing hospitalist with INDIGO Health Partners, a leading physician organization providing hospital medicine, telehealth and post-acute clinical services to health care organizations throughout Michigan. As a founding member and physician executive, Dr. Ahlstrom has implemented and led hospitalist programs at 10 hospitals and health systems across Michigan. Dr. Ahlstrom has over a decade of clinical hospital medicine experience and is a Senior Fellow of Hospital Medicine. He has served in multiple leadership roles with the Society of Hospital Medicine. Dr. Ahlstrom is a Board Certified Internal Medicine physician. He completed his residency in Internal Medicine through Michigan State University in Grand Rapids and graduated from the University of Michigan School of Medicine in Ann Arbor. Dr. Ahlstrom also served as a staff flight surgeon, section chief and flight medical commander in the US Air Force. He completed his Bachelor of Science degree from Western Michigan University. Dr. Darryl Elmouchi, MD, MBA serves as the President of the Spectrum Health Medical Group. Prior to this, he was Senior Vice President and Chief Medical Officer of the Spectrum Health Hospital Group. Previously, Darryl served as Chief, Division of Cardiovascular Medicine, Spectrum Health Medical Group and Chair, Department of Cardiovascular Medicine, Spectrum Health Hospitals. He also holds an appointment as an Assistant Professor of Medicine at Michigan State University College of Human Medicine. Previously at Spectrum Health, he served as Medical Director, Cardiac Electrophysiology from 2010 to 2014 and at West Michigan Heart as a cardiac electrophysiologist starting in 2006. Darryl also held clinical positions at University of Michigan Health System and the University of California, San Francisco. Darryl has been extensively engaged in committee roles, research and education. His educational credentials include a medical degree from the University of Michigan Medical School; a Master’s in Business Administration from the University of Michigan Ross School of Business; a Certificate in Biostatistics from the University of Michigan School of Public Health; and a Bachelor’s Degree in History from the University of California, Los Angeles. Darryl completed his Internship, Residency and Chief Residency at the University of California, San Francisco and fellowships in Cardiac Electrophysiology and Cardiovascular Medicine at University of Michigan Health System. Darryl is married to Sarah Elmouchi, MD (a Pediatrician) and has three children. When not working, he enjoys spending time with his family, running and reading. Dr. Kurt Lindberg, MD grew up in southeastern Michigan and attended the University of Michigan for his undergraduate and medical degrees. He completed a Family Medicine residency on the north shore of Massachusetts that was affiliated with Tufts and Boston Universities. In 1999 he came to practice in Holland, Michigan and continues to work as a full-time partner at a single specialty, independent practice of 11 physicians. In 2012 he accepted the position of President and Medical Director of the Holland Physician/Hospital Organization where he helped lead the 190 physicians and Holland Hospital into becoming a Clinically Integrated Network. 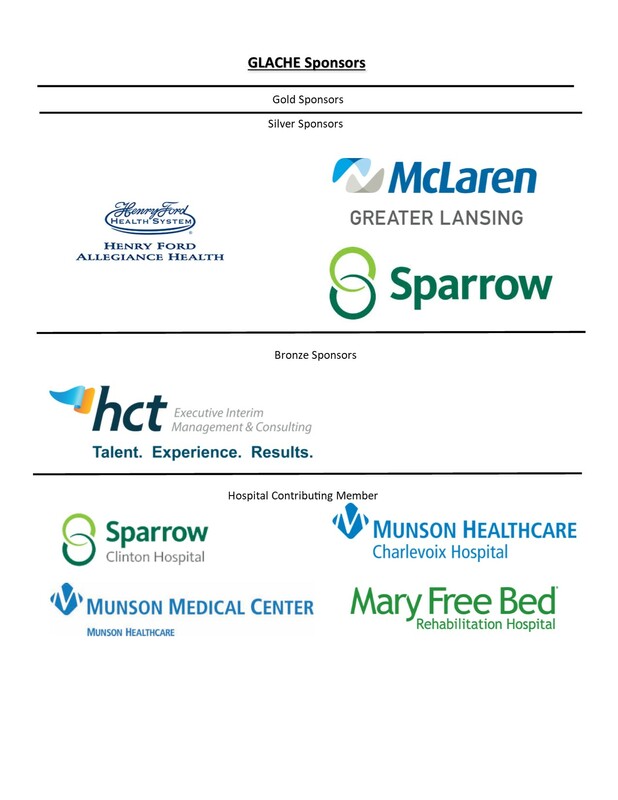 The Holland PHO has become one of Michigan's best performing health organizations in terms of quality and efficiency, has 100% Patient Centered Medical Home status for its primary care providers, and gets 90% of its physicians to attend its semi-annual meetings. In addition to his local activities Dr. Lindberg writes for the Certification exam for the American Board of Family Medicine and is often invited to national discussions about the future of primary care in America. Dr. Tom Peterson is currently the VP, of Quality and Safety at Munson Healthcare in northern Michigan. He has developed award-winning safety programs in hospital systems in Michigan and Colorado over the past 10 years. He has led state and national initiatives also in Patient Safety, Quality Improvement, Population Health Management and Community Health and Advocacy for the past 20 years. Dr. Peterson has also worked as a national expert in childhood obesity, wellness, and tobacco control for the past 30 years.